Self-employment (SE) tax is a Social Security and Medicare tax for individuals who work for themselves, similar to the Social Security and Medicare taxes withheld from the paychecks of most employees. If you’re an independent contractor, you will report your net profit on Schedule C, and include it with Form 1040. You’ll then calculate your self-employment tax on Schedule SE and report the amount in the “other taxes” section on Form 1040. To figure out what you owe for the SE tax, reduce your self-employment income by half of the SE tax before applying the rate. You can also claim 50 percent of what you pay in self-employment tax as an income tax deduction. 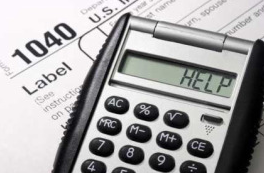 You can find more information on the SE tax here. An Employer Identification Number is also called a Federal Tax Identification Number, and is used to identify a business entity. It’s easy to get one – the IRS generates them for free. Here’s who needs an EIN: anyone who has employees; operates a business as a corporation or partnership; files tax returns for employment, excise, or alcohol, tobacco and firearms; withholds taxes on income other than wages paid to a non-resident alien; has a Keogh plan (more on that below); or is involved with certain organizations like estates, non-profits, and certain trusts. Learn more here. As an independent contractor, you have more choices when it comes to retirement plans, and that’s good news, since retirement plans mean tax deductions. There are a few self-employed retirement plans, including a solo 401K and simple IRA. Two other common plans are a Simplified Employee Pension plan (SEP) and a Keogh plan. You can put in up to 20 percent of your net earnings into a SEP or Keogh plan, with a maximum annual contribution of $53,000. Keogh plans have more stringent reporting requirements, and are ideal for those who have employees and need a plan that offers more. A SEP plan is better suited for a sole proprietor or a business with only a few employees. Simple IRAs allow employees to contribute up to $12,000 per year, and work best for small businesses with fewer than 100 employees. And a solo 401K allows both employees and the business to fund it.